To promote the sport of Archery, in all its forms except Bow Hunting within the local community in an inclusive and fair manner and to adapt where possible to the needs of the archer. To ensure that all present and future members receive fair and equal treatment, safely and securely. 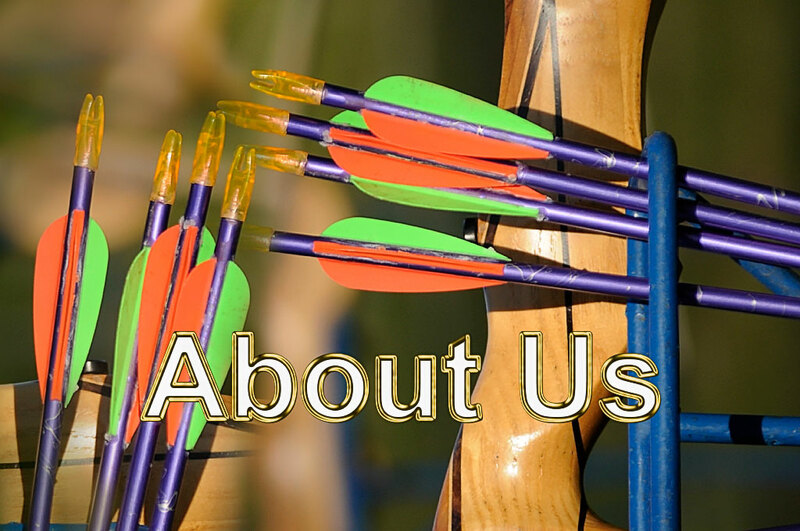 To provide a relaxed and social atmosphere where Archers of all standards can practice and enjoy the art, science, and sport of Archery. To stage tournaments and other events to raise funds for the improvement of the Club. To encourage the development of the archer’s skills via training and coaching. To actively develop and encourage the young archers in the Club. To encourage a structure that allows for non-shooting members who may wish to donate time and effort to the running of the Club. The postal address of the Club shall be that of the Secretary or the current Chair in the absence of a Secretary. The Shooting Regulations as prescribed in the Grand National Archery Society, known as Archery GB ‘Rules of Shooting’ shall be accepted as governing the relevant branches of the Sport of Archery practised by the Club and its members. Nothing will be included in this Constitution or Rules, which conflicts with that of Archery GB. The funds and property of the Club shall be vested in the Bowmen of Danesfield. All monies and sums received on behalf of the Club shall remain the property of the Club, and there will be no distribution of such funds amongst the members. The Constitution of the Club shall not be altered or amended except at the Annual General Meeting or an Extraordinary General Meeting of the Club. Members wishing to alter or amend the Constitution shall submit such an amendment to the Secretary, twenty-eight days before the General Meeting at which such a proposition is to be considered and shall be moved and seconded before any discussion. Notice of such amendment shall be sent to all members entitled to receive notice of such Meeting. If the Club ceases to function, bank funds shall be used to meet any outstanding liabilities. Should this be insufficient, Club assets shall be sold to meet any outstanding debt. The remaining assets shall go to the SCAA to assist in the development of archery within the county of Somerset. Membership of the Club shall be open to all persons interested in advancing the objectives of the Club and who are willing to abide by these Rules. Cub Membership shall be subject to practical size and safety limits dictated by the available facilities. Successfully, completed an approved Introductory Course on Archery. Provided proof of age qualification. Provided proof of age qualification, whose parent or guardian has fully completed and signed Club consent forms. Is a fully paid member of another recognised archery Club or is directly registered to Archery GB. Honorary Members: Shall be any person whom the Club may wish to honour for distinguished service to the Club or the sport of Archery, may be elected at a General Meeting of the Club as an Honorary Member for Life or a specified period. Any Honorary member wishing to shoot is responsible for their own insurance, e. Archery GB Membership and competition fees. Approval of a Non-shooting member is by the Executive Committee. Archery GB membership fees will be paid by the Club for insurance purposes. The Executive Committee may refuse or remove membership, for reasons such as conduct or character likely to bring the Club or sport into disrepute. Appeal against refusal or removal should be addressed to the Executive Committee for further consideration in line with the disciplinary procedure as outlined in (Appendix two). All members other than Honorary Members and Non-Shooting Members shall pay a subscription to the Club at rates to be determined from time to time by the Executive committee. Members will be notified promptly of any amendments to the published fee structure. There are two types of fee: A membership fee to be a member of the Club and a shooting fee. All Club Membership fees become due on the anniversary of joining the Club or twelve months from their last membership payment. This fee not only entitles the member to use the Club facilities and join in its activities it covers a membership fee paid directly by the Club to Archery GB, SCAA and GWAS. The Club Membership fee provides the Club and archer with insurance. The facility to shoot is available 52 weeks of the year with a minimum number of cancellations due to the facility being required to be used by Danesfield School for its purposes. These will be notified to members at the earliest opportunity. Dates and times of shooting and any changes will be published on the Club website. Each member must ensure that all fees are paid promptly. Any member whose fees are in arrears by 30 days will cease to be a member of the Club. The Executive Committee will consider any extenuating circumstances; it is incumbent on the member to bring these to the committee’s notice at the earliest opportunity. The General Committee can be called on to advise the Executive Committee. Voting shall be by 60% of those present with a minimum of three present. At meetings of the Executive Committee, where a vote on any motion is tied, the Chair may use a casting vote. A Chair, Secretary and a Treasurer shall be appointed by members at The Annual General Meeting which shall determine the terms of their appointments from time to time. The Chair shall be elected (or re-elected) at the Annual General Meeting, (but notwithstanding shall remain in the Chair until the conclusion of the AGM if not re-elected). The Executive Committee may appoint sub-committees and may delegate to such sub-committees powers within stated and defined limits. The Club, through the Treasurer, shall prepare and present to the Annual General Meeting a Balance Sheet showing the financial position of the Club on the 1st October of the preceding year, together with an Income and Expenditure Account for the twelve months ending on that day. Members at the Annual General Meeting shall appoint a Financial Examiner, annually. A copy of the Balance Sheet and Income and Expenditure Account, duly certified by the Financial Examiner, shall be sent with the Notice convening the Annual General Meeting to each Club member. A Bank Account shall be held and maintained in the name of the Club. All cheques and orders withdrawing monies from the Account shall be signed by any two of the following Club officers, Chair, Secretary, or Treasurer. Online payments are only to be conducted by the treasurer who is duly sanctioned by the other signatories. The treasurer to provide bank statements and other account data as a regular account review to the Executive Committee. The Junior Club representative or any junior member shall not be responsible for any of the Club’s finances or any matters arising from legal action taken against the Club. Purchases on behalf of the club shall only be made when sanctioned by an Executive Officer, and a full receipt is obtained. The Annual General Meeting shall be held before the end of June at a place to be determined by the Chair. Not less than twenty-one clear days’ notice of such meetings shall be sent to each Club member. The Executive Committee or, at the request of eleven or more Club members, shall call an Extraordinary General Meeting. Not less than twenty-one clear days’ notice of such meetings shall be sent to Club members. Notice of any Motion to be moved shall be sent to all Club members entitled to receive notice of the Meeting. The Chair may exercise a right to summon an Extraordinary General Meeting of the membership for any reason requiring immediate action. At all Annual General Meetings and Extraordinary General Meetings. Each Registered Senior Club member shall be entitled to one vote. Each Junior Member shall be entitled to one vote. At Annual General Meetings or Extraordinary General Meetings where a vote on any motion is tied, the Chair may use a casting vote. In the case of an emergency, the Chair, the Secretary and the Treasurer shall together have full powers to act. A range of Policies, Rules, Procedures and Code of Conduct which will guide the governance of the Club and its membership. It is incumbent on every member of the Club to adhere to the Club Policies, Rules, Procedures and Codes of Conduct. The Club Policies, Rules, Procedures and Codes of Conduct are to be attached to the constitution but do not form part of the constitution and may be added to or amended at any time by the Executive Committee. A field captain or coach may, at any shoot, require an archer to leave the line if their conduct is deemed inappropriate. The Executive Committee may at any meeting, by a two-thirds vote invoke a Disciplinary Procedure (Appendix Two) on any member who it is alleged has violated the general rules of the Club as laid out in (Appendix One), or whose conduct is considered detrimental to the best interests of the Club. Such a member shall be issued with a copy of the Disciplinary Procedure. Ensuring that the welfare of children, young people and vulnerable adults, is paramount. Creating a culture where bullying will not be tolerated. Ensuring that offensive language, such as swearing, will not be tolerated in the presence of children, young people and vulnerable adults, and will at all times be challenged. Respecting the personal life, beliefs and religious faith of a Club Member at all times, regardless of their age, gender, colour or ethnicity. The principles under which we conduct the Safeguarding Policy. 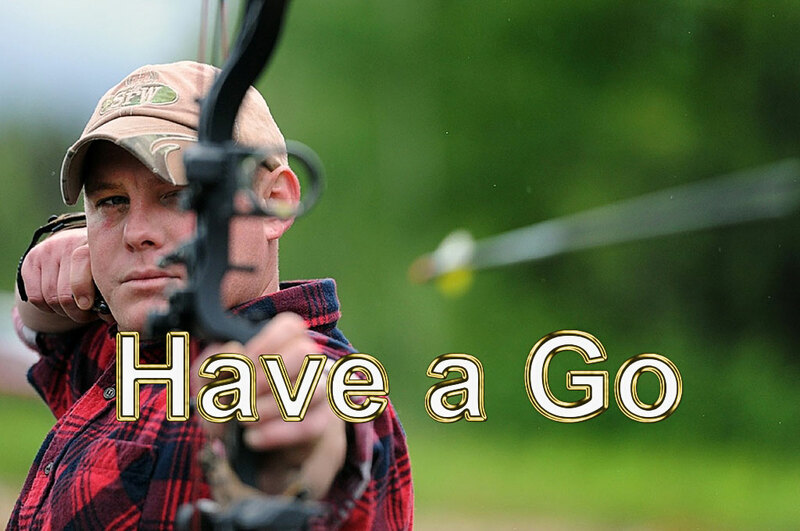 As well as members, this Code also applies to all visitors to the club including those participating in archery courses. Abuse is any form of physical, emotional, or sexual mistreatment, or lack of care that leads to injury or harm. Abusers can be male or female. An individual might abuse or neglect a child, young person, or vulnerable adult directly, or may be responsible for abuse because they fail to prevent another person harming them. The Safeguarding Officer, Archery Coaches and Instructors and any other Club Members with regular access to children, young people and vulnerable adults, and all those responsible for the Club’s Safeguarding Policy within the Club, will undergo a screening process. The Safeguarding Officer is the first point of contact to report any concern regarding an abuse and can be contacted by email: safeguarding@bowmenofdanesfield.co.uk. Alternatively, the Club Secretary may be contacted. The Responsibilities of all those involved with the club. It will be the responsibility of every Club Member, and also the parents/guardians of children and young people attending the Club, to ensure the safety and well-being of everyone while participating in Club shooting sessions and other Club events. A Junior Consent Form, outlining conditions of membership and contact details, as well as any relevant medical conditions, must be completed by the parent/guardian. The Junior Consent Form may not include email addresses or mobile phone numbers belonging to members that are children or young people. If a child, young person, or vulnerable adult has a medical condition which may in any way affect their shooting, they should inform either the Safeguarding Officer or an Archery Coach who will advise the best course of action. This will be dealt with confidentially where possible. For juniors under the age of 10 years a parent or designated responsible adult must be present at all Club archery sessions and events and will be responsible for the care of that junior. They must not leave the young person without gaining the prior consent of the Club’s Secretary, Archery Coach, Club Secretary or Safeguarding Officer. They must collect the young person at the end of the session or event, at the time requested. If a parent/guardian wishes to allow a young person to leave on their own, they must provide written consent in advance. No one is permitted to shoot while under the influence of alcohol. Adults may consume a moderate amount of alcohol at social Club events only after shooting sessions have completely ceased, and all shooting equipment has safely been locked Adults may never offer or purchase alcohol for people under the age of 18 years. Members who are children, young people or vulnerable adults may only shoot when supervised by at least two adults, one of whom must be an Archery GB registered Club Member. If only two adults are able to be present, then only one may shoot at any one time. At least two adults must be present when young members or vulnerable adults arrive and until they have all departed. For safety reason, a contact list of all children and young people, which are Members, is accessible at the Club during shooting sessions and at all Club events. This list will only be accessible to the Safeguarding Officer, Archery Coach/Instructors and the Club Secretary – in cases of emergency other specifically designated Committee Members may have access to the list. No personal contact or correspondence with a child or young person should take place. All email, phone, mail and discussions relating to club matters with a child or young person must be through the parent/guardian, except in the training environment. The Club only permits photographs, video or other images of children to be taken with the consent of the parent/guardian/carer and the child, which must be sought before the photograph is taken. We will take all necessary steps to ensure that these images are used solely for the purpose they are intended (i.e. Club website, Social Media, Club newsletter, Club publicity). No one should engage in rough, physical, or sexually suggestive games at the Club with any child, young person or vulnerable adult. Any physical contact with a child, young person or vulnerable adult should be made in an open and non-threatening manner and kept to a minimum and always with prior agreement. When coaching it might be necessary to touch an individual, the coach should always ask if it is ok first or preferably finds an alternative way of demonstrating the principle. Any sexually suggestive comments made by adults to children, young people or vulnerable adults are considered inappropriate, even in fun, and should not be made. No one may reduce a child, young person, or vulnerable adults to tears as a form of control. Any accident involving a child, young person, or vulnerable adult, however minor, must be reported to the Club Secretary or Safeguarding Officer and recorded in the Club’s Accident Book, and the parents/guardians must be informed of the incident as soon as possible. In case of an emergency where outside medical assistance or hospitalisation was required the Safeguarding officer, Junior Manager or another responsible adult would contact the parent/guardian. In the unlikely event that is not possible a decision will be made on the most appropriate course of action. All allegations of abuse, irrespective of how trivial they may seem, must be reported to the Safeguarding Officer. If anyone suspects that a child, young person, or vulnerable adult is being abused – be it sexually, physically or emotionally – or neglected, either within or outside the Club, they should inform the Safeguarding Officer. It is not the responsibility of anyone involved in archery to decide that a person is being abused, but it is their responsibility to act upon their concerns. Any complaint made about a Club Member will be dealt with in a timely and confidential manner and in accordance with the Club’s Constitution and Disciplinary Code, as well as Archery GB’s Policy for Safeguarding Children, Young People and Vulnerable Adults. The Club Safeguarding Officer must refer the matter to the Club Secretary or other appropriate Club Committee Member. They must also inform the Police and/or Social Services regarding a case of possible abuse, as well as the Archery GB Child Protection Officer by phone, without delay – an Incident Report Form will also be completed to all, within 24 hours. Where a complaint has been made against a Club Member, a written acknowledgement will be sent immediately to the person making the complaint, by the Club Secretary. Every effort will be made to inform all parties concerned about the outcome of the investigation, in writing, within 30 days. Make sure that you understand exactly what is being reported – listen carefully and ask questions only to clarify facts or words that you do not understand. Do not speculate or make assumptions or judgements. Do not make promises to the person making the disclosure which you may not be able to keep – tell them you will need to inform others and write things down in order to help them. Report what you have been told immediately to the Safeguarding Officer or Secretary. The Club is committed to the highest principles of honesty, integrity, accountability and operating legally and ethically. The Club will investigate in a prompt and thorough manner any suspected wrongdoing. As we believe the best deterrent is for everyone to know that wrongdoing will be reported and that the wrongdoer will be held accountable for their actions. The Executive Committee has overall responsibility for the policy on whistleblowing. The Executive Committee is responsible for taking reasonable steps to prevent fraud, including the review of financial procedures and the accounts of the Club. The bank mandate shall include the three senior officers of the Club, and two signatories should be required for cheques. Online payments are permitted by the treasurer with the agreement of the signatories and should regularly be reviewed as part of the accounts review. If any member or committee member suspects fraud may have occurred or been occurring, they should report this to the committee under the terms of the whistleblowing procedure. Where the member believes that the committee members to whom a report would be made are involved in the suspected fraud, a report should be made to Archery GB for investigation. The Club respects the rights, dignity and worth of every person and will treat everyone equally within the context of their sport, regardless of age, ability, gender, race, ethnicity, religious belief, sexuality, or social/economic status. The Club is committed to everyone having the right to enjoy their sport in an environment free from the threat of intimidation, harassment and abuse. All Club members have a responsibility to oppose discriminatory behaviour and promote equality of opportunity, any incidence of discriminatory behaviour will be dealt with, according to Club disciplinary procedures. The Club and Committee will take all reasonable steps to protect the personal data held and required by the Club and its members for the administration of the Club, and its legal obligations and communications. Upon leaving the Club, your data will be removed after a period of six years unless you have requested to be kept informed of club activities. Data held and communication with a junior member shall be where practically possible through a parent/guardian. Members are responsible for ensuring the accuracy of the information we hold; any changes should be notified to an Executive Committee member. The Club encourages the use of Social Media and its website as a means of communication, information and promotion of the Club. It is however incumbent on the members to exercise responsibility in everything it does related to the Club, particularly online. It is essential that members online use does not bring the Club into disrepute by using inappropriate language or not respecting other users, be they Club members or not. Each member must think before posting about the legality and impact of their actions on the Club, themselves and others, now and in the future. Care must be taken not to infringe any Intellectual Property rights as this could have legal implications for the member and the Club. To only post images or videos of Adult members who have given their permission. No images or video of Junior members is allowed to be posted except where the Executive Committee has received explicit consent from the parent or guardian that the image/video can be posted. You must not disclose any personal information about the members that may breach data protection laws. Always put the safety of themselves and others before everything else. Act responsibly at all times to protect the safety of themselves and others. Never participate while under the influence of alcohol or drugs. Respect the line captain and abide by their instructions. Only place an arrow in the bow when on the shooting line and pointed at the target. Never wear loose-fitting upper garments or open toe footwear. Disclose to the Executive Committee any medical condition that may affect their own or the safety of others. Ensure their equipment is maintained to the highest safety standard. Accept that the equipment officer or line captains may ask you to remove yourself from the line if they suspect your equipment is not up to standard. When using club equipment, check it is safe and notify the equipment officer if a defect is found. When using club equipment do not alter it without the express permission of the equipment officer. Ensure that they and others are only taking part in an activity appropriate to their age, ability and experience. Never dry fire a bow. Adhere to the Archery GB Rules of Shooting and the spirit of archery. Display and promote the highest standards of behaviour. Wear club colours at tournaments. Wear soft-soled shoes in the gym and stout shoes outside. Not cheat, complain or waste time and always promote fair play. Endeavour to be on time, to help set up and take down the range. Never engage in or tolerate public criticism of the Club or any of its members. Never engage in or tolerate public criticism of any judge or official. Never engage in or tolerate bullying, intimidation or harassment. Never engage in or tolerate offensive, insulting or abusive language or behaviour. Help, respect and include every archer of whatever age and ability, treating everyone equally. All archers when shooting must be able to produce their Archery GB membership card to evidence that they hold adequate insurance. Archers must at all times act in a proper manner toward the facilities and other users of the shooting ground. 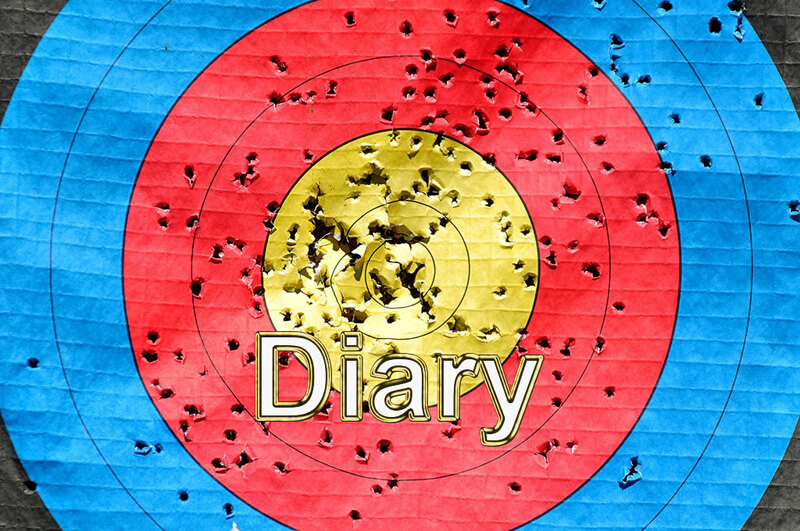 All archers must record their attendance on the shooting range register kept in the target locker. Only Senior full members of the Bowmen of Danesfield shall be issued with an equipment shed key. The school premises shall only be used outside of school teaching hours or when the school playing field is not required for school use. Tuesday and Thursday are official Club nights with the addition of Sunday mornings if the field is available. For the safety of school students, all lost arrows MUST be found before the school reopens for students. If after a prolonged search an arrow is still unaccounted for, the loss must be notified to the Schools Building Manager whose phone number is recorded on the door of the target locker. For the safety of all school pupils, owing to the difficulty in finding carbon arrows they will only be permitted in the sports hall. Arrows shall be labelled to identify the archer in accordance with Archery GB shooting regulations. Before any disciplinary action, the member shall be given at least 14 days’ notice in writing and shall be granted the opportunity to be heard by the committee. The decision of the Executive Committee shall be communicated to the member in writing and the Executive Committee shall not be required to explain its actions to any but those concerned. The Executive Committee is, however, free if it so desires, to publish its decision in any medium, including the journals of nationwide or international archery bodies. The member shall be allowed 28 days from the date of communication of the decision of the Executive Committee in which to lodge an appeal against the decision, in writing, with Secretary of the Club. The Executive Committee shall not communicate its decision, other than to the member until that period has expired or an appeal has been lodged, whichever is the sooner. In the event of an appeal against the decision of the Executive Committee, the Chair of the County Committee shall be requested to appoint an Appeal Panel of three independent individuals. No member of the Club Committee may sit on this panel. The panel may hear such witnesses and consider such evidence as it shall think fit and its decision shall be binding both upon the appellant and the Club.